Get Rewarded for every dollar spent! $1=1 Point and 100 points will earn you a $10 reward on your next purchase. Earn 25 points when you sign up, plus earn 25 bonus points when you sign up with Facebook. Scan your QR code at the register or scan the barcode from your receipt to start earning points. It’s fast, fun and rewarding. Kinda like your pizza! 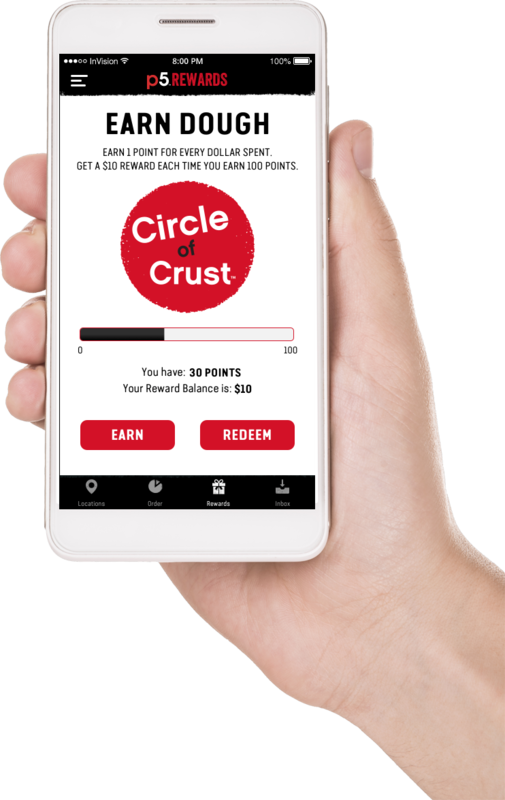 Please note Circle of Crust rewards are not redeemable at Pie Five airport locations. Say pie-o-nara to waiting. Order online (at participating locations) and get pizza pie-fection into your hungry hands even faster. 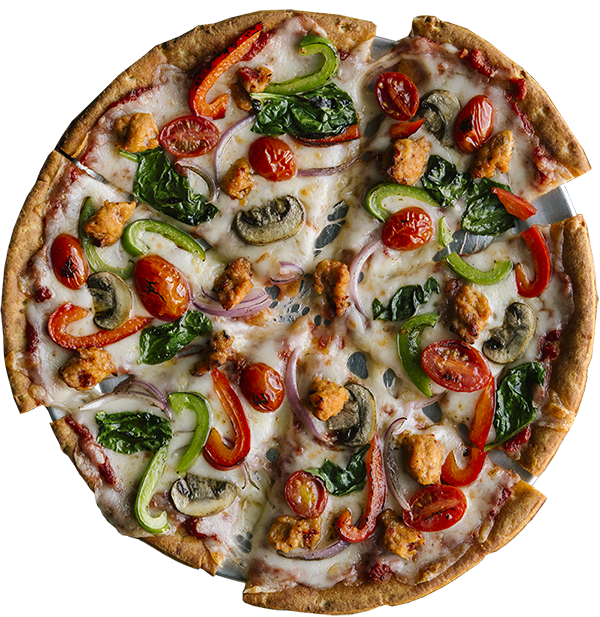 Your Circle of Crust points will be automatically added each time you place an order. It’s easy as…pie. You never know when hunger may strike. Be prepared. Easily find your closest Pie Five location, get directions and slay your hunger. Want to earn even more points while making your friends Appier? Share your code with your friends and earn bonus points when your friend makes their first purchase. Got questions? We have answers. Check out our FAQs here. No Smart Phone? No problem. Click here to join.